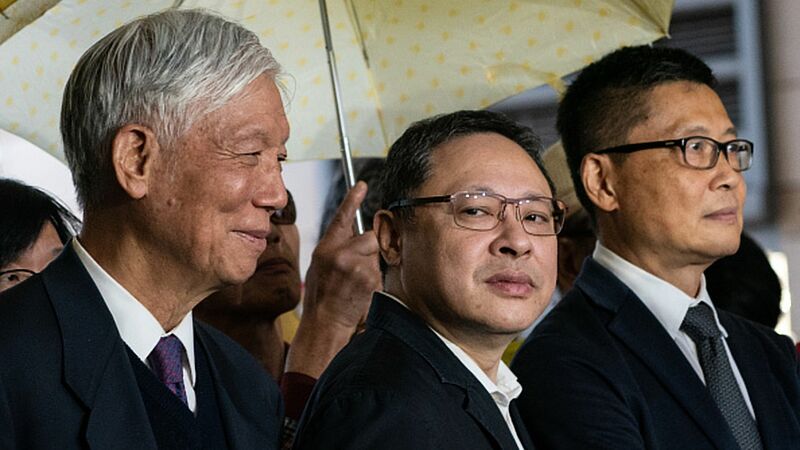 Hong Kong pro-democracy leaders found guilty of protests "nuisance"
The 9 leaders of Hong Kong's pro-democracy protests were found guilty Tuesday by a court in the Chinese territory of charges including public nuisance. Details: Pastor Chu Yiu-ming, law professor Benny Tai and retired sociology professor Chan Kin-man and pastor Chu Yiu-ming were among those convicted, the BBC reports. They're seen as figureheads of a movement involving thousands of people, who protested in Hong Kong's streets in 2014 following China's decision to only allow candidates pre-approved by Beijing in elections.